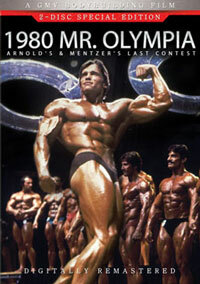 We have put together all of our film footage on Mr America RICHARD BALDWIN to make a fantastic SUPER TAPE. It was said by famous IRONMAN Magazine writer Roger Schwab:“Richard Baldwin has a fine, graceful physique, the type the general public can identify with.” This DVD starts off with Richard’s performance at the 1977 AAU Mr. USA. Next we see Richard in extreme “muscle worship” type close-ups, from oiling and pumping to posing on the beautiful Venice Beach in California. 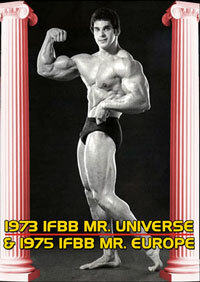 Includes full body and close-up posing, with emphasis on the best biceps in the Mr America contest of 1978. 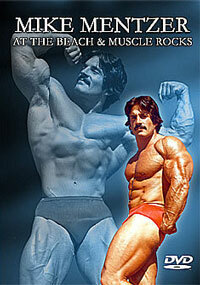 The second part was filmed at “Muscle Rocks” near Malibu in July, 1978. Shot on a brutally hot day, with sweat dripping and muscles pumping and flexing, this sequence is a Baldwin classic. Many close-ups as DANNY PADILLA helps Richard pump up before Richard poses solo and then duo with Padilla. The duo posing turns into a posedown in this famous sun-drenched location! The final sequence shows Richard competing in the middleweight class of the 1980 IFBB World Amateur Championships in the Philippines followed by a gallery of 41 superb photos showing Richard at his ‘sliced and diced’ peak. This compilation of all of our Richard Baldwin footage includes the "Muscle Rocks" posing sequence never seen before on video. It includes fantastic sequences of Baldwin's solo posing plus duo footage with future Mr Olympia competitor, DANNY PADILLA. I waited with anticipation for the "Richard Baldwin Super DVD" and was not disappointed! The DVD arrived quickly and every moment of it was pure viewing satisfaction. The color and content were even better than expected. There's something about Wayne's style of filming, then transferring the footage from classic 8mm film to DVD, which is pure "nostalgic" joy! Richard is presented in top form, first pumping, oiling then posing. Each shot providing the viewer with motivation and inspiration! Richard has a "realistic" physique that inspires the average person to become motivated, as well as inspiring the seasoned bodybuilder. 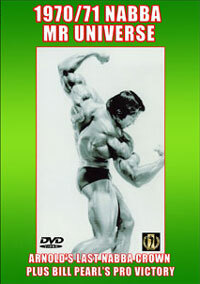 This "incredible" DVD features footage of legendary bodybuilder Danny Padilla, who's in complete contrast to Richard's physique, but completely "compliment" each other by their own diversity. Rare contest footage of Richard is also featured as well as "fantastic" still photographs in the conclusion. 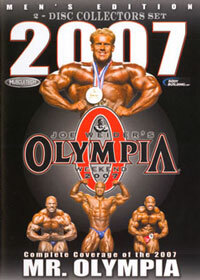 This "Super DVD" is not only a must for Richard Baldwin and Danny Padilla fans, but for the average person interested in bodybuilding as well. It's "not-stop" action of pure encouragement and motivation. I highly recommend it!